Left: One of our three land cruisers. Right: Gate for Serengeti National Park. 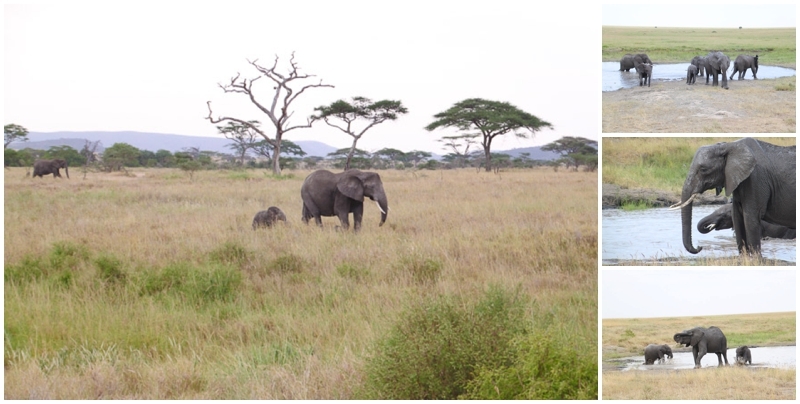 After starting with Lake Manyara and Gnorongoro Crater as our appetizer, we moved on to the main course of our 3-day safari – Serengeti National Park. Our group got the 24 hour pass to the park, which allowed us to have both an evening game drive and an early morning drive. We left the crater and headed out on a roughly two hour drive along a very bumpy road until we reached the gate for Serengeti National Park. The road took its toll on everyone (mentally and physically), but once we saw the gate we seemed to get a rush of adrenaline. 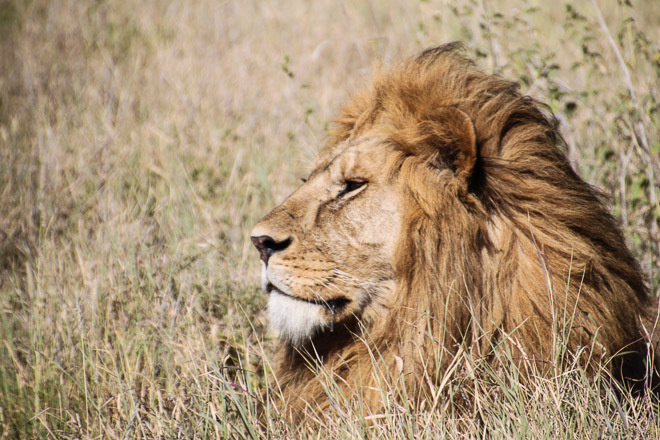 We saw the entire Big 5 in the Serengeti, which was our hope and eventually we got up close and personal with the King of the Jungle – the male lion. We caught these guys sunning themselves in the early morning light and it was pretty stunning to see. They didn’t appear to mind the trucks at first, but eventually they moved over to a shaded area where we saw a couple lionesses napping. Possibly a protective move, but we can’t be sure. Along with the male lions we caught another pride of lions which included some cubs, who were completely adorable. If only they stayed that small forever! Left: Male lions. Right: Pride of about 10 lions in the early morning light. As a cat lover, big cats were top priority (obviously). So, I really wanted to get a glimpse of them all, and I did! Left: Mom and baby cheetah. Right: Cheetah getting a drink. The elephants we saw seemed incredibly happy and content in their surroundings, especially when they were rolling around and playing in the mud. It was a family affair as each took its turn rolling around and throwing mud on one another. Very peaceful creatures. 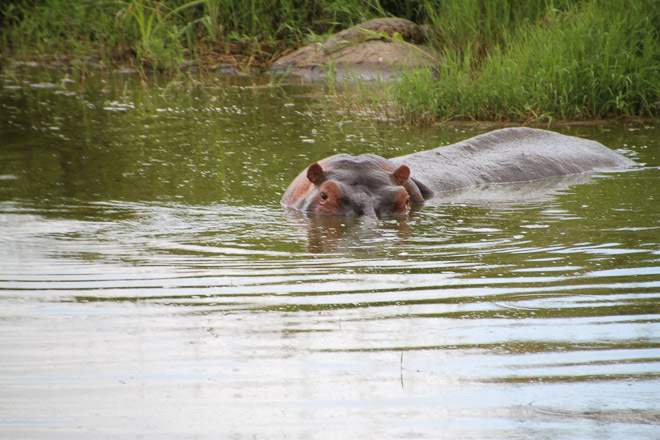 Hippos tended to be a mixed bag. We mostly caught them sleeping in large groups in ponds, but we did see a couple walking about in the early morning. At every sighting I couldn’t help but think of the game Hungry Hungry Hippo from childhood. While they seem cute, these guys are apparently the most dangerous animal according the human casualty statistics. Giraffes were not quite as prevalent in the Serengeti, but we did find a few munching on some trees on the road leading to our camp site. They are the cutest big animal in my opinion. Speaking of camping…Yes, we actually camped in the Serengeti and survived! While a bit nerve-racking, it was pretty neat to think we were camping in the wild with all of the animals we were seeing during the drives. While camping isn’t our forte, it is something we won’t forget, especially after we heard a lion got trapped inside one of the bathroom stalls at the campsite about two years ago. Yikes! 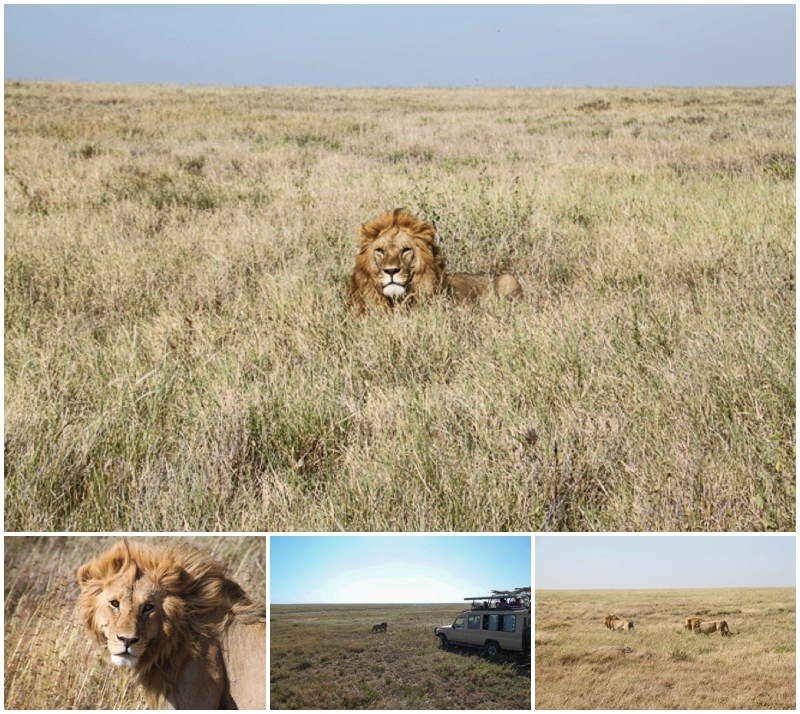 Serengeti camping – A little unnerving, but we survived! We came out of the gate strong with our overland trip and loved our safari. The lions were the highlight, but everything was fantastic and memorable. The bar has been set pretty high after the last three days, although, we do have Zanzibar and South Africa still to come. We’ll see what happens. Amazing images – especially love the one of the cheetahs! Thanks Jared! We feel incredibly lucky to have seen all of these animals in their natural habits. It was truly amazing! Your photos are wonderful! How did you ever get those? Thank you! We got lucky and got pretty close to the animals. A decent zoom lens is definitely recommended though. You guys were lucky with the leopard and the cheetah! Great photos too Alana. 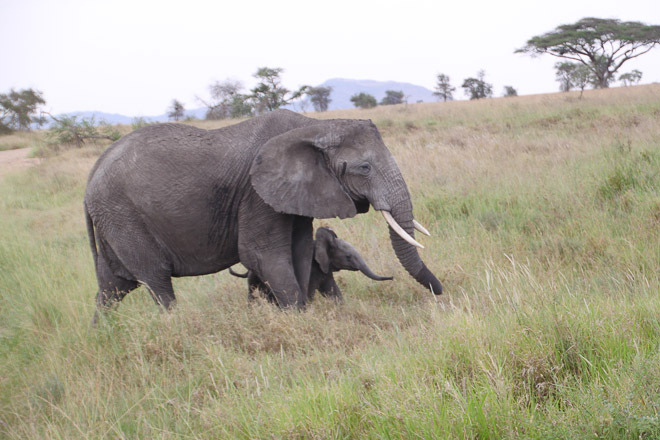 Hate to tell you but the rest of the safari will be boring with animals….highlight for sure Mara & Serengeti! The cats were definitely our favorites. I don’t know how the guide spotted the leopard in the tall grass but we were thrilled he did! Wow!!! 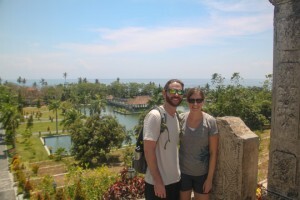 What an amazing time you two had! Germany with us probably won’t be quite as amazing!! It will be a different kind of amazing! We’re looking forward to it!